Mrs. Gloria V. Carver enjoyed being with her late husband Mr. Odell Carver and family. She was active in her church as long as her health allowed. 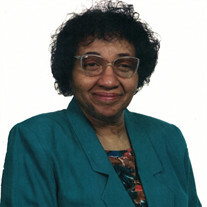 The family of Gloria V. Carver created this Life Tributes page to make it easy to share your memories.